Most cities known for their cutting-edge or classic cuisine conjure the image of 5-star restaurants for the very elite. Not so in Lima, Peru. Welcomed onto the list of the world’s top gastronomic capitals, Lima’s culinary offerings can be found in venues from premium hotels to pop-up food fairs. 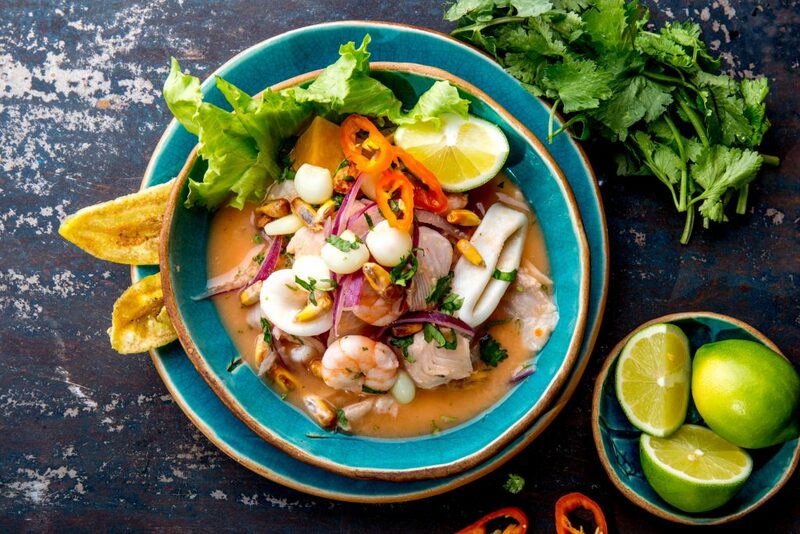 With fresh fish as the star attraction, visitors to the largest city in Peru can wander into a ceviche shop, or feast on Peruvian chicken and rice in a local family joint. Travelers find a kaleidoscope of influences, from African, Chinese, and indigenous specialties. Take your taste buds on a tour of new gastronomical frontiers in an old world. Instant Breakfast. If you’re up and about early in Lima, note the mugs of a hot porridge-like concoction being served for breakfast. 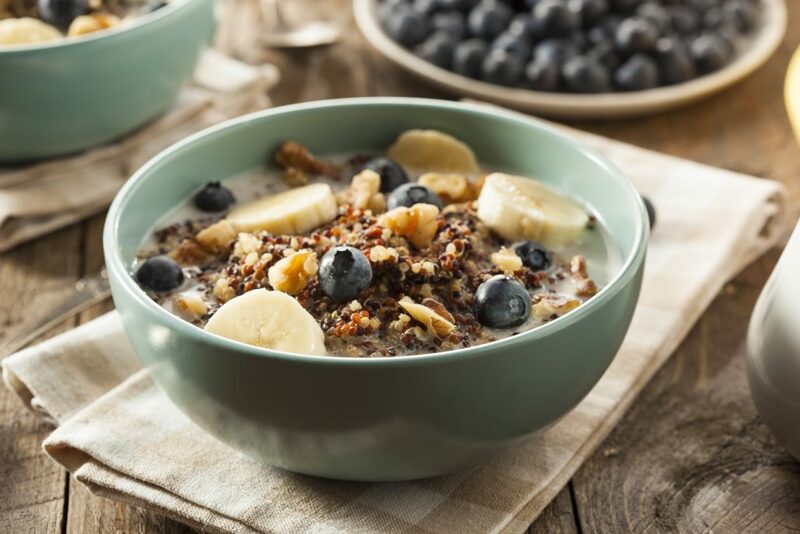 Quinoa, now falling into most salads in North America, is a morning super food on Peruvian breakfast tables for its complete protein and compatibility with fruit, cinnamon, sugar or cream. Catch of the Day. 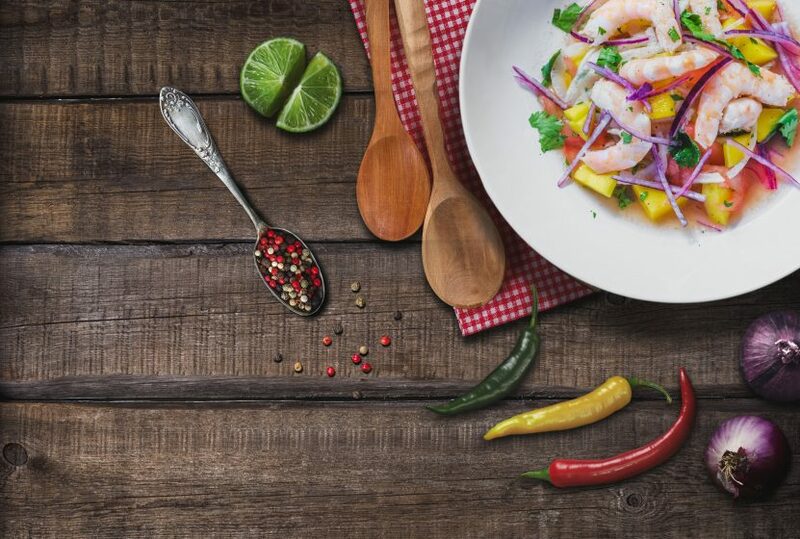 Take sushi-fresh fish, citrus juice, chili peppers, and fresh herbs for classic ceviche. Chefs here throw in personal spins to this Peruvian signature dish with the addition of vegetables and secret sauces. The unwritten rule of ceviche is to serve it early after the morning’s catch. No Pets Allowed. 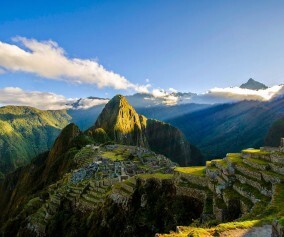 To truly experience Peru’s palatable preferences, your traveling companions may decide to appoint you the guinea pig of the group to sample Cuy – both a delicacy and staple of Peru’s Andean diet for 5,000 years. Actually, Cuy (pronounced kwee) is guinea pig, which is roasted and typically served whole, seasoned with herbs. Tastes like chicken? No, actually more like rabbit or fowl. ¡Salud! The Toast of the Town. 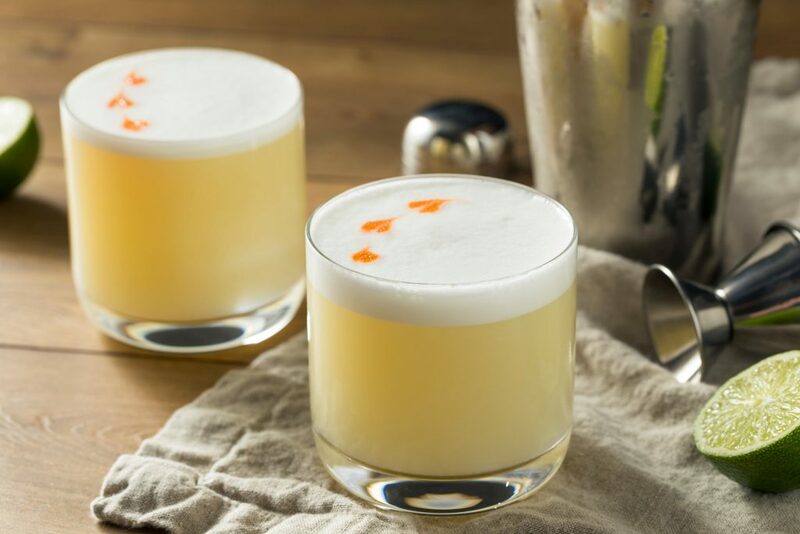 Peruvian bartenders’ pride and joy is the perfect Pisco Sour. An intense grape brandy varies in nuance by label, but it’s the foundation for the country’s national cocktail. Add fresh lime juice, sugar, egg white, and Angostura bitters for an authentic Lima version. Food Fusion. 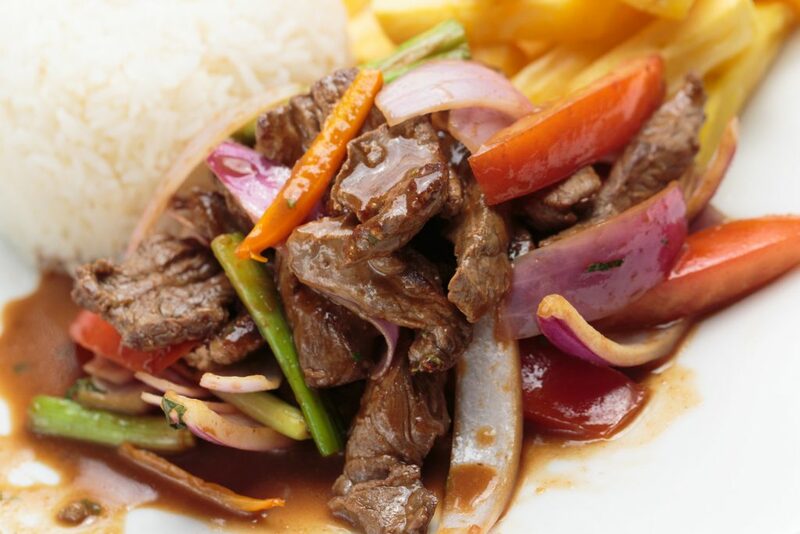 Two culinary cultures collide to create Lomo Saltado. This tasty beef stir fry dish is influenced by Peruvian and Asian cooking techniques, combining sirloin, onions, peppers, spices, Peruvian chilies, soy sauce, cilantro and rice.